I'd welcome comments on this pot. 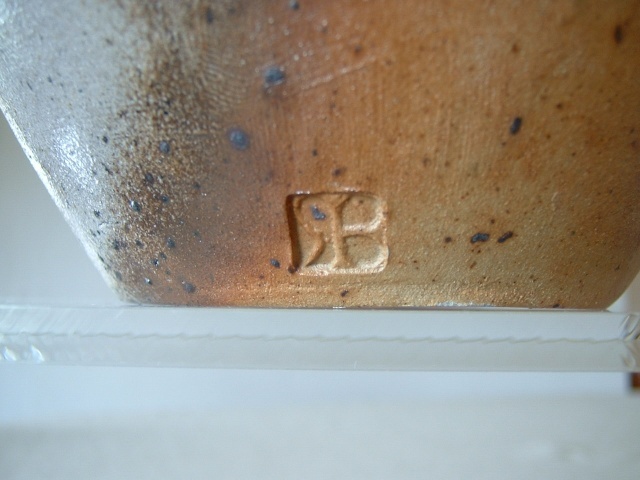 The mark is very similar to Svend Bayer's but is more angular than the one on a Wenford Bridge casserole I own (see last image for comparison), and others I have seen on the web. 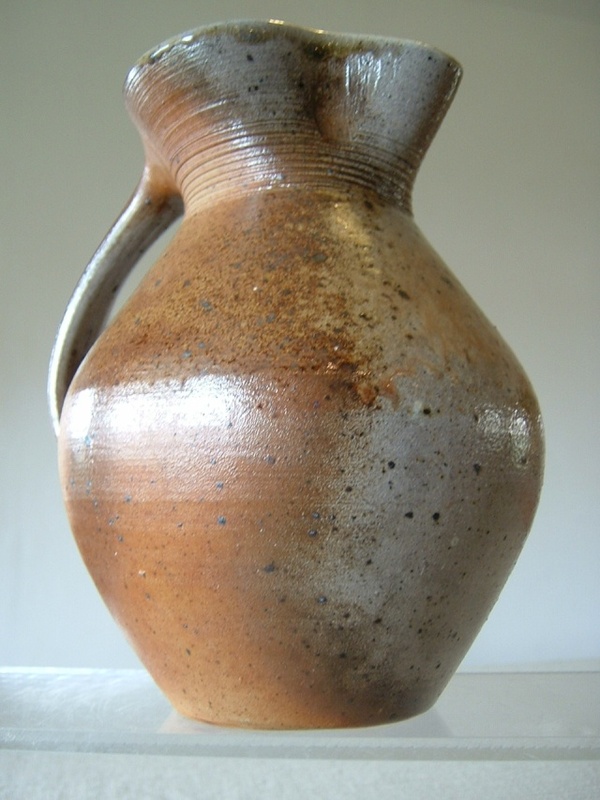 The style of the pot also seems different to other examples of his work I've seen. If it is by him then I guess the style and the fact that it is marked may suggest it is an earlier piece? There does not appear to be a Svend Bayer or Wenford Bridge thread in the British Pottery section of the site, there probably should be! Definitely Svend Bayer , I agree a tad smoother than the stuff we expect , the threads are usually built alon members own items , I'll start a wenford and you can host your pot . Svend began working with Michael Cardew at Wenford Bridge on 1st May 1969 after studying Geography and Economics at Exeter University. 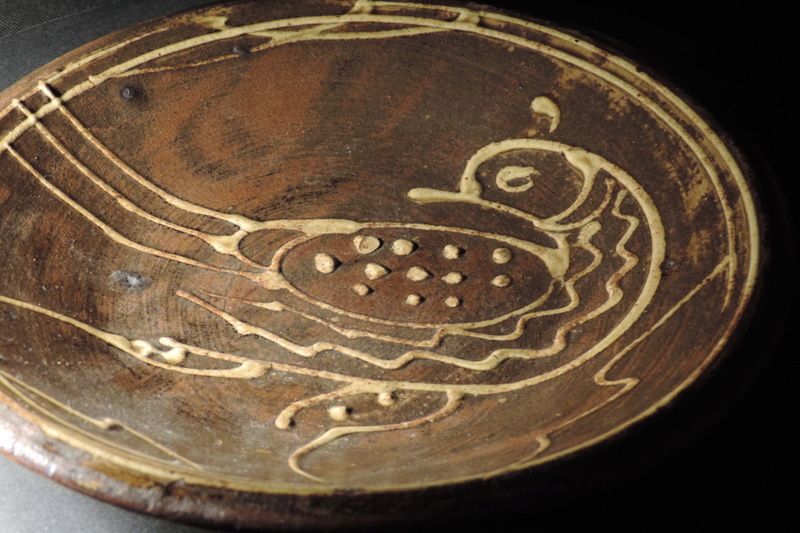 He stayed until August 1972 and during the latter stages of his time there he was allowed to stamp work with his own SB seal as well as that of the Wenford Bridge pottery. Several years were spent gaining experience at Brannams in Barnstaple, the Far East and the States before he bought Duckpool Cottage where he continues to work to this day. His first firing at Duckpool took place in 1976 and up until the mid 1990s he marked his work with an SB seal but since then his work has been unmarked. 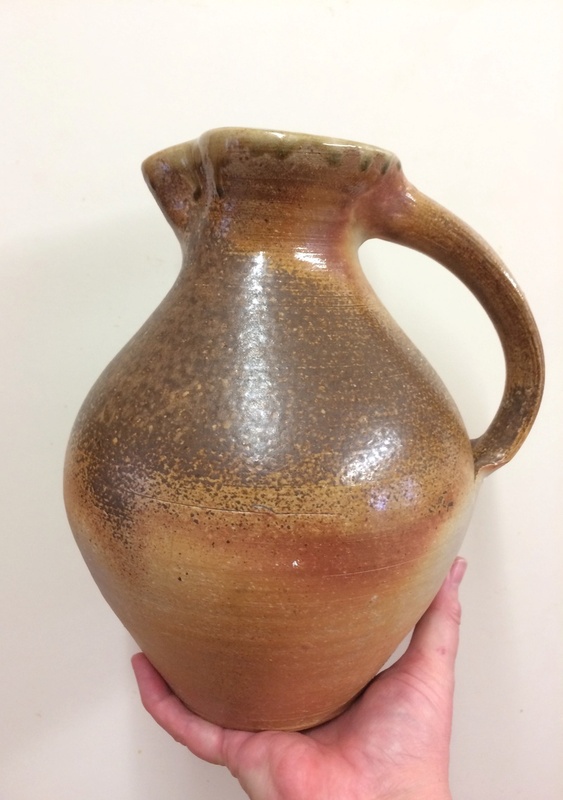 The large jug above dates from 1999.
big ed wrote: Definitely Svend Bayer , I agree a tad smoother than the stuff we expect , the threads are usually built alon members own items , I'll start a wenford and you can host your pot . I would say that it was made in the late 1980s. Small wheelthrown stoneware yunomi, woodfired with lustrous brown persimmon glaze. Unmarked. 4.9cm (height) 7.9cm (diameter). Quite the most beautiful glaze I've seen in a long while. 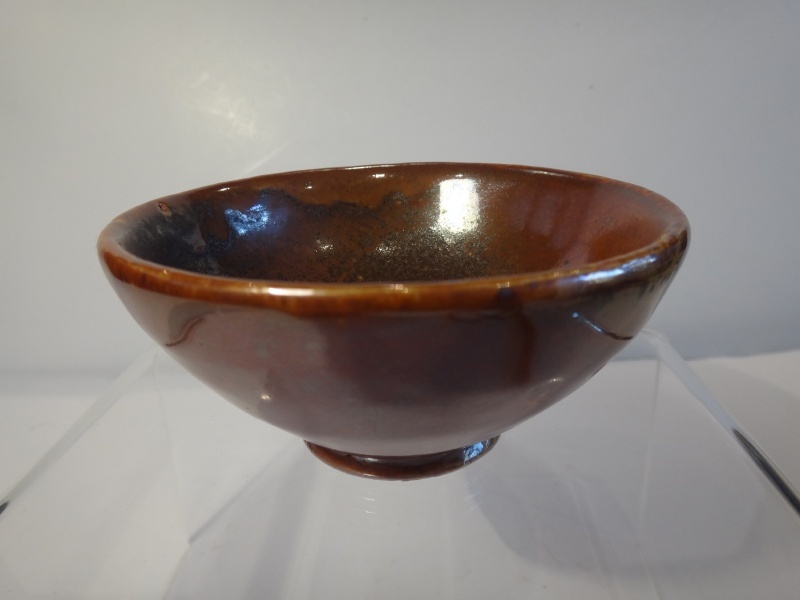 I have a Wenford Bridge bowl of a similar size which reminds me very much of this piece so it was no surprise to discover that Svend worked there. His recent show at Goldmark was awesome, saw the stuff just after it had arrived, the little celadon bottles were my favourites. 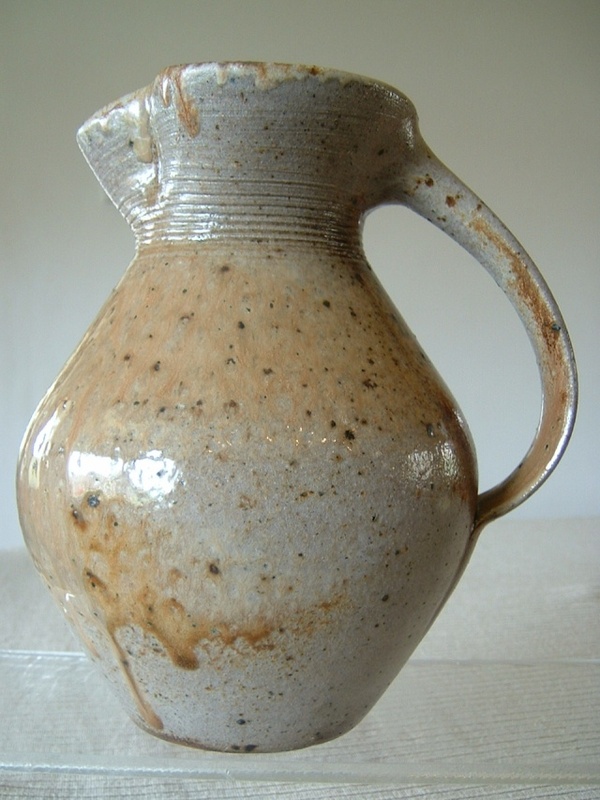 A wood-fired jar with 4 strap handles made by Svend in 1989. Yes, that is his seal, which he was still using then, that you can see on the mouth of the jar. A close up of the seal. 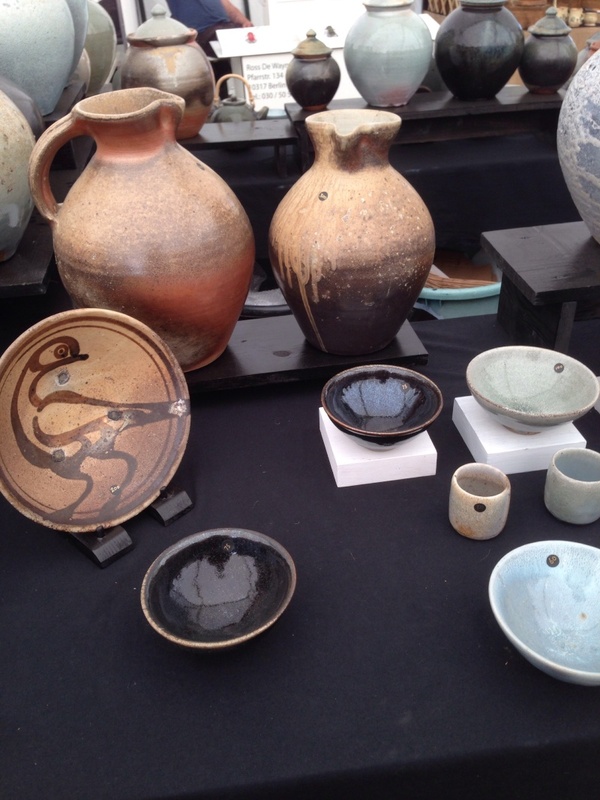 Watched Svend Bayer building a large pot at Hatfield this year. It really made me appreciate the physical effort involved in preparing the clay and building something of this size compared to the smaller wheel thrown items we tend to see being made in videos, which seem to just spring up as if by magic. 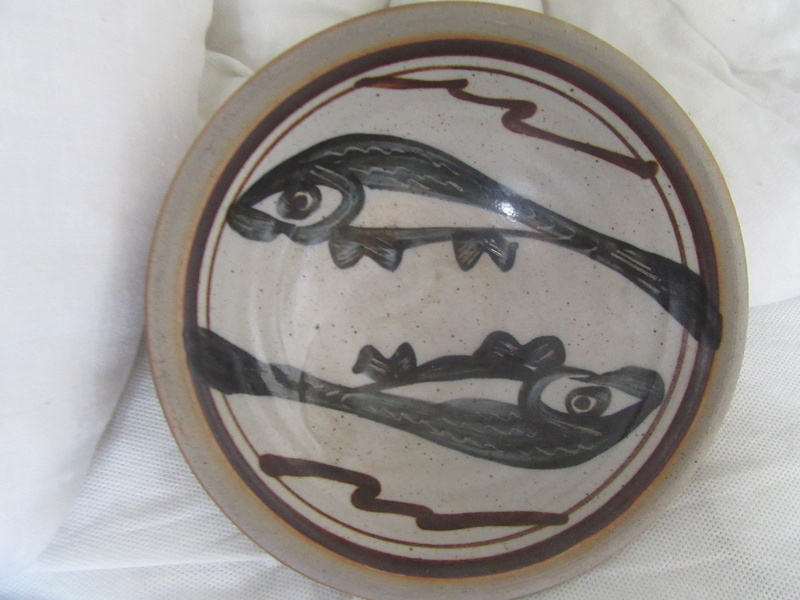 He had some beautiful tenmoku bowls at Hatfield, but I'd already spent my budget. But not marked of course. Now there is the problem with Svend Bayer. Apart from his time at Wenford Bridge and for a few months in the 80's, he has not marked his work. As a collector I have problems with that. 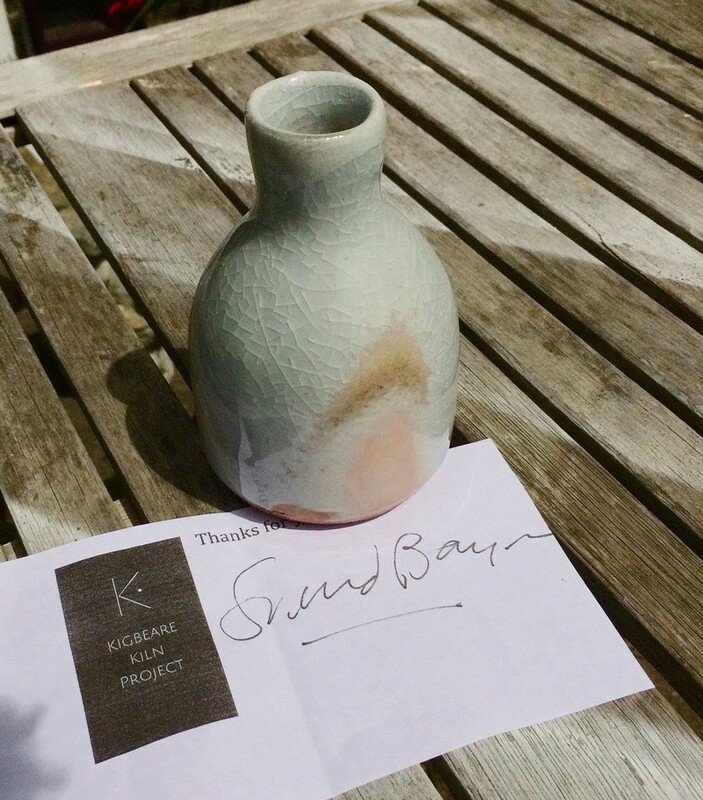 If I buy a Svend Bayer pot on the secondary market, can I be abslutely sure it is by him? There is always that nagging doubt. 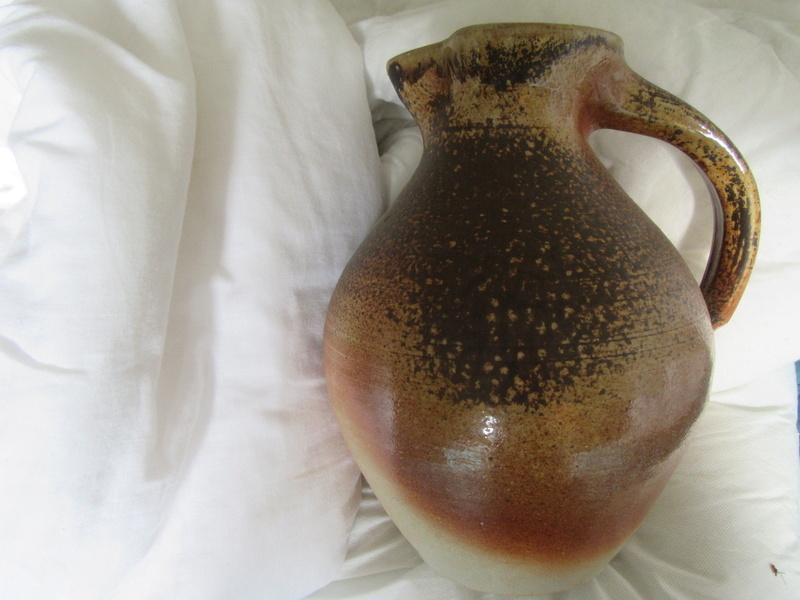 Not disputing this jug. Got a slightly larger one which we bought directly from him. The problem is the 'Shoji Hamada effect'. If all the pots attributed to Shoji Hamada were really made by him, then dear Ol' Shoji must have been potting for 1000 years. The same is going to happen to Svend Bayer. 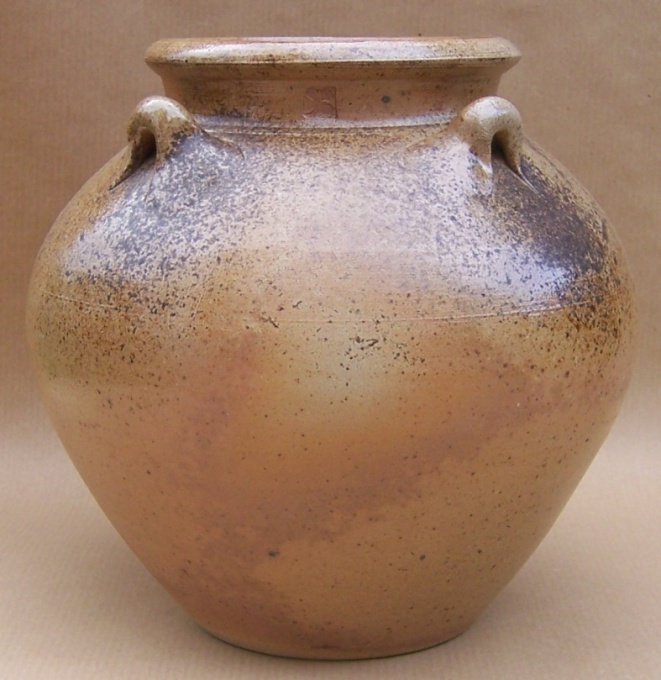 He is a potter with a rightly held high reputation, and a good deal of his work is expensive. It is inevitable eventually, that inferior pots will be sold on the secondary market as by 'Svend Bayer'. As a collector that worries me. 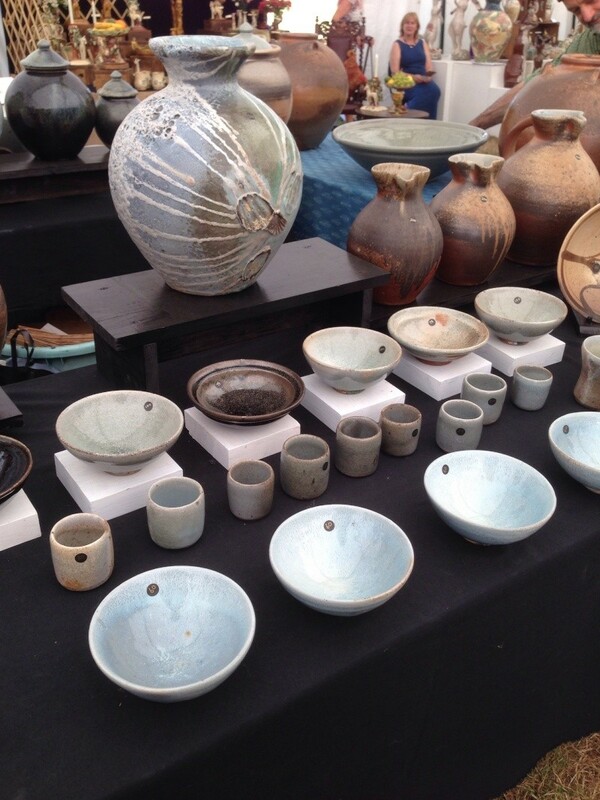 Special set of bottles and mugs made this year and sold in aid of the Kigbeare Anagama Kiln project. Nicely marked with Svend Bayer and Kigbeare stamps. 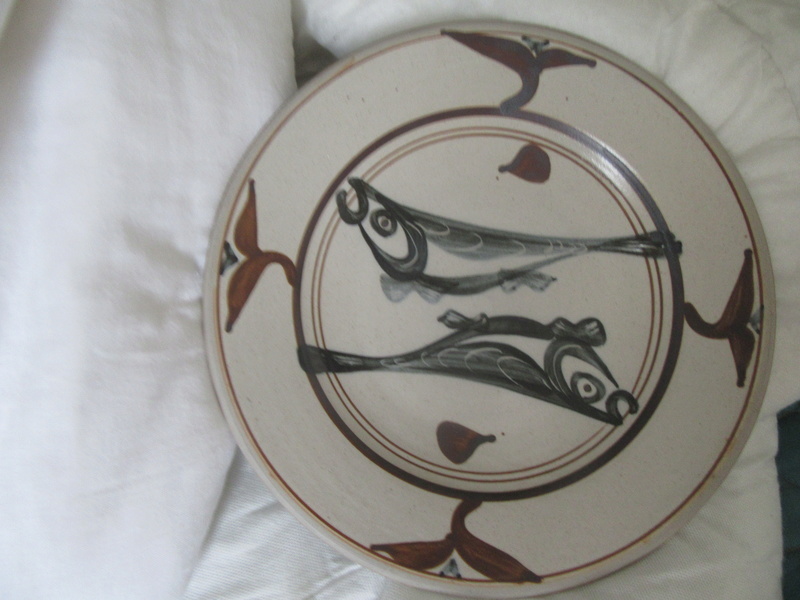 This one came from with the provenance that is was from the Estate sale of Harry Horlock Stringer's ex wife. So could not resist it. Another from the estate sale of Harry Horlock Stringer's ex-wife. 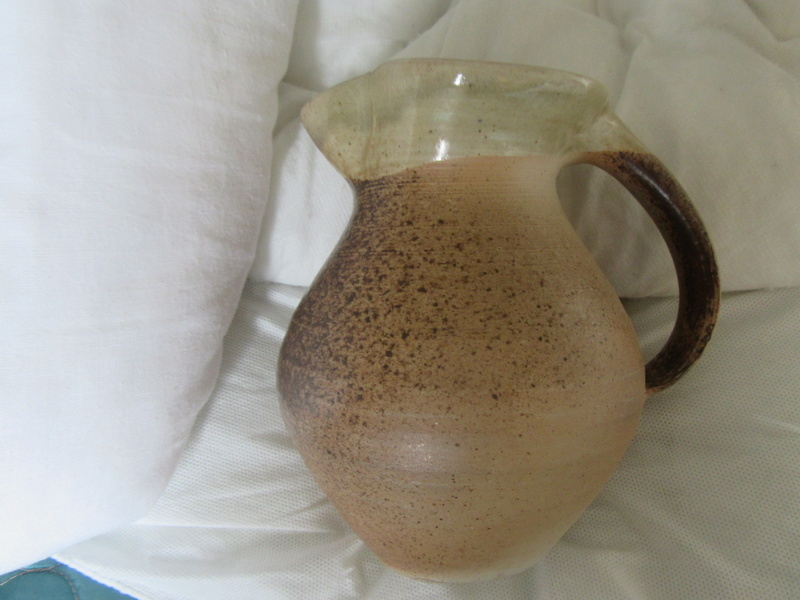 Large Standard ware jug we had for over 20 years.